If you haven’t heard the news, executive chef Luke Armstrong is leaving Bacchanalia to take up a new position in Japan. He will be with the restaurant until August 26, after which Vianney Massot, who used to helm L’Atelier de Joel Robuchon, will take over when the restaurant reopens in mid-September. In his remaining days in the kitchen, Armstrong is offering three-course lunch and four-course "surprise" dinner menus. What he’ll serve will be dependent on the seasonal produce and choice ingredients; which means you might have his Irish oysters served atop creamy bavarois, the ravioli stuffed with mushrooms, and even spring lamb. Regardless, it'll be a while before you have another chance to enjoy these dishes again. Omakase menus are all about “leaving it all up to the chef”, but tha'ts not the case when it's chef Yohhei Sasaki’s. While his menu melds Japanese cooking techniques and ingredients to create his style of Italian cuisine, diners are very much involved in creating what they'll eat. It starts with a dialogue with Sasaki; he’ll ask you what ingredient, flavour, drink or even special memory he can use to tailor the seven-course menu. 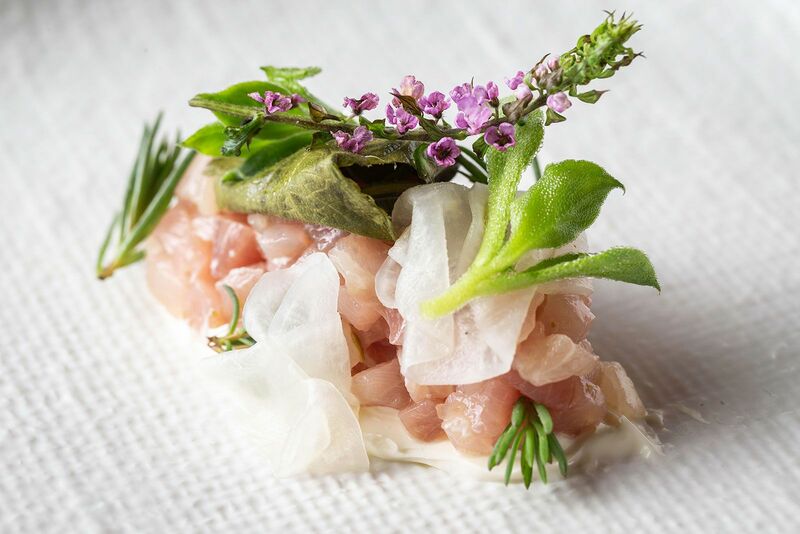 He uses simple but exquisite seasonal produce such as Hokkaido uni which he prepares carpaccio style, or Japanese ayu that he simply pan-fries and serves alongside seasonal greens with a drizzle of lemon juice. The restaurant's bounty of the freshest catch is perfect for when you’re looking to indulge your seafood cravings. Of course, the best way to maximise a trip here is to dine with a big group and order more dishes to share. The cold seafood platter gives you steamed, meaty Boston lobsters, freshly shucked oysters, cooked live tiger prawns and apple wood-smoked cold salmon, among others. Various cooking techniques are also expertly applied—from the Japanese yakitori style where the pork, scallops, chicken and mushroom are grilled over charcoal, to the traditional Chinese recipe of stir-frying or steaming pink snapper or blue cod with XO sauce. Skip lunch and go for the heritage high tea here instead, which includes some of the chef’s best creations. Want something savoury? New creations such as the croque monsieur infused with local touches like the addition of chicken bak kwah and chicken floss should entice. There's also a wagyu beef puff filled with tender flakes of beef cheek that’s been stewed in masala curry. There are similar nods to local favours at the dessert station, too, where you can have the éclair filled with creamy durian custard or freshly baked raisin scones with kaya spread. The heritage high tea is available on weekends and public holidays, from 3pm to 5.30pm. Last July, chef David Myers introduced The Chef’s Table Series, which puts forward the best produce he has discovered from around the world in exclusive experiences. The next edition is on August 23 in which he pays homage to his hometown of California in an eight-course dinner tasting menu with wine pairing. New creations include the crab blini, salted wagyu, oyster & melon, and sea urchin toast, and are so much better with a full-bodied and slightly oaky 2013 Chateau Montelena. Thankfully, portions are nicely bite-sized so you will have enough space to savour the dish of Tasmanian quail that is first marinated in fermented sake rice then grilled over charcoal. The deliciously smoky notes are enhanced when you pair it with the fruity 2014 Flowers Pinot Noir from Sonoma County.